Hey yall, we are a couple of weeks into 2016, well more like a month in but who is counting. How has it been going for ya? Did you have any new resolutions planned out for this year? Still going strong with them? I am not too much into the whole resolutions but I understand that it is very common for the new year to begin and have the mentality of "New Year, New Me". I know, that personally I have begun a new year thinking like that, I wanted to become a better person than who I was and didn't want my past to follow me along. Well this time around I began to look at things differently. 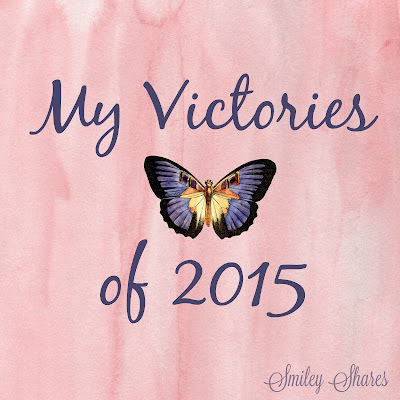 2015, was a year of victories. Victories that came from overcoming challenges and growth, I don't want to leave them behind, I want to be able to build on them. I wanted to share my little victories in hopes that they will help you reflect and find your own. Oh, 2015 was the year of concerts. It was the year that I not only joined my siblings in concerts that we would all enjoy but also managed to go to concerts that I genuinely wanted to go to. Since not everyone in my family likes country music, I had always found it a bit difficult to be able to attend them, but during 2015 it somehow became a bit easier and I took advantage of that. 2015 was also the year that I began my blog, I have always enjoyed writing and sharing my personal reflections through words. 2015 was the year that these two things that I loved became one. Although I only have a couple posts about this,I loved being able to writing about artist I like and share my concert experiences, such as this one Matt and The Herdsmen: The Concert. It's even better when the artist shares the post and/or recognizes you at one of their concerts and are appreciative of the support. During the first half of 2015, I spent my days mainly surrounded by my siblings and families. There's nothing wrong with that, I enjoyed spending time with them. Thing is though, that when I decided to move, I would no longer be able to do that. I needed to make friends. I joined Young Adults at church, and even a bible study. It was definitely something different for me. If you've read some of my first post, you may remember that my spiritual journey was in a rough patch when I moved. Yet, I knew I needed to make friends, and figured this would be the best place for that. I have heard the phrase " Don't make promises you cant keep" several times in my life, but never believed that I myself had ever made promises that I couldn't and/or didn't keep. However, I had! Maybe we've all had. Ever told someone, "I'll pray for you" and forgot to do so, or just prayed that one time and that was it? Well I had, and I knew that by simply saying I would do something and not actually go through with it, nobody would benefit from it. When I had friends going through a difficult situation, I would let them know they could count on me and normally it would end there. This 2015 I began to do things different, I didn't let it end there. I know that at least with Izzy and her family, that is what brought us together. Her mom didn't notify me of every single need they had, but I followed up with her, I wanted her to know that I was really there. I also made the effort to actually spend sometime for me to pray for Izzy and her family. It made our relationship stronger, and let me be a closer part of Izzy's journey and I am beyond blessed to be a part of that. My job,consisted of driving (it still consists of this). This, was terrifying. I was a late driver, did't get my license till my 20's and even then, I didnt drive. I just practiced enough to pass, and that was it. Shortly after I received my DL, I had an accident. Since then I didn't drive, until May of 2015. I know, how is it that I didn't drive?! Well, I am part of a big family and as stated previously, I would always hang out with my siblings and/or my parents.I didn't need to take my own individual car, we would just carpool. So, in other words before moving I had one real month of driving experience. Once I moved, I stopped driving. We had one car to share and we were essentially in a new place. So when I found out that I would have to drive all around town, constantly, I was on the verge of having a panic attack. Now, here we are, two months in and I am driving! So far, my supervisors don't know of this fear, and plan on not telling them until at least a year in. So, please Shhhhh. 2015, was a journey. One were my biggest victory was learning to Trust God, with everything. I learned to let Him take control. I learned, to trust that His plan is bigger and better than mine. All of these victories are different. Yet, they are all connected. They are what my 2015 was made of. I want to be able to continue doing the things that I love, if that means concerts, music, and blogging then I am all for it. If for whatever reason it changes, then I will learn to go with it. I want to build up the friendships that begun in 2015, I don't want them to go to waste, I want to watch them grow. 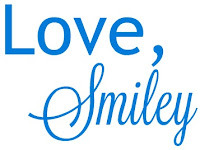 I want my word to have value, and for people to know that I they can trust that I will be able to help. I want to constantly remind myself of what I know, that I am enough, and that I can take a challenge. I want to no longer let fear control me, I want to continue letting go of all the things that scare me and hold me back. Most importantly, I want to continue trusting God. It is how I will be able to do everything else, with Him by my side. 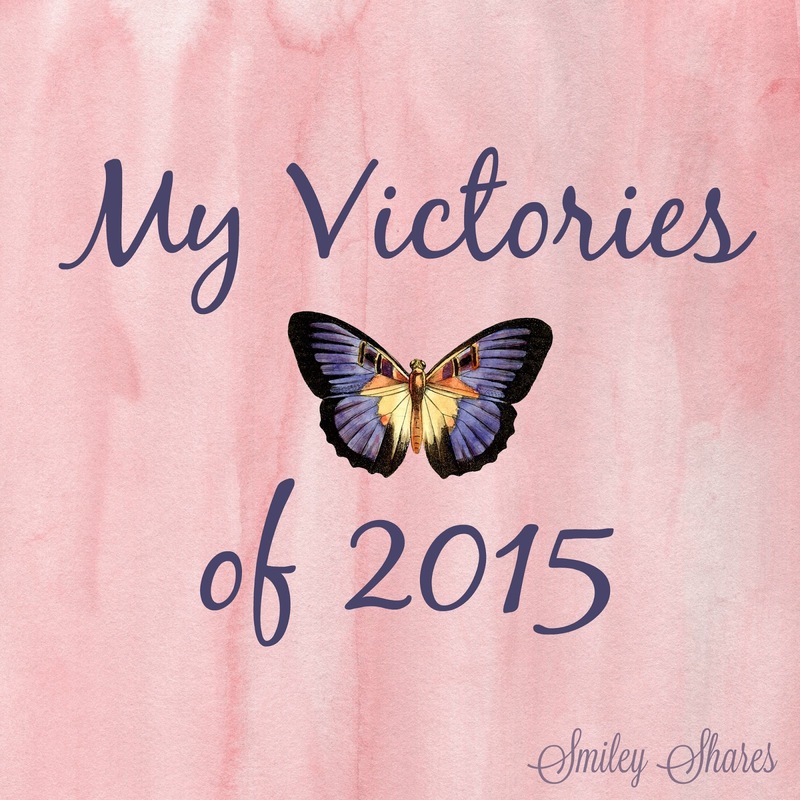 Now think about it, what are your own personal victories of 2015? How do you plan on building up on these victories? I look forward to an amazing 2016, full of more challenges and adventures. Yes, and I am beyond grateful. Now to keep this going & I look forward to the new victories during this 2016. Happy 2016 Macy!